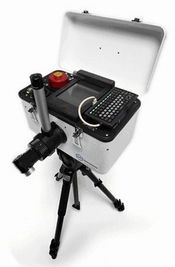 This hand portable, remote sensing field and industrial instrument is lighter and more versatile than our Model 101, which has served the research needs of scientists and engineers worldwide since 1991. 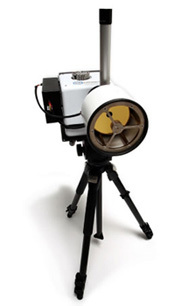 This compact field and industrial instrument is used for both ground based and airborne applications requiring high speed spectrometry, and utilizes our patented Turbo FT™ technology. Applications in remote sensing for geological mapping, airborne chemical agent detection, and online process control systems. Our rugged and compact design allows you to "Take It There". Instrument control software, including ratio and difference math functions. ¹ Note 1 - Size and Weight shown based on Sensor only.